The Digital Place Based Advertising Association (DPAA) announced that Visible Spectrum (VSI) has joined the association. VSI’s content creation platform can be used to create video content in any format, resolution and aspect ratio. Custom video can be produced in minutes, at a small fraction of the cost of manual production. "For the digital placed-based media industry, VSI's platform presents an opportunity for networks to produce high quality video that can be fine-tuned into multiple versions targeted in various ways including time of day, location, section of store and dozens of other criteria," said Barry Frey, president & CEO, DPAA. 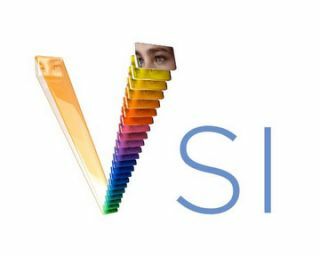 "We welcome VSI to our ranks and look forward to helping them connect with our members." "The DPAA is doing terrific work on behalf of the DPB industry and we are pleased to be joining them in their efforts to grow the sector," said John Malec, CEO of VSI. Membership in DPAA encompasses numerous benefits, including admission to quarterly "mini summit" meetings with ad industry and DPB leaders, access to an extensive database of research, best practices and case studies, tools for planning, training and forecasting, social media amplification, publication discounts, an opportunity to participate in media partnerships as well as the DPAA-Nielsen Service Bureau and DPAA-Nielsen Digital Diploma Series Training Program, insights on software and hardware solutions, further integration into the advertising ecosystem as part of the video everywhere conversation and marketing campaign and more.